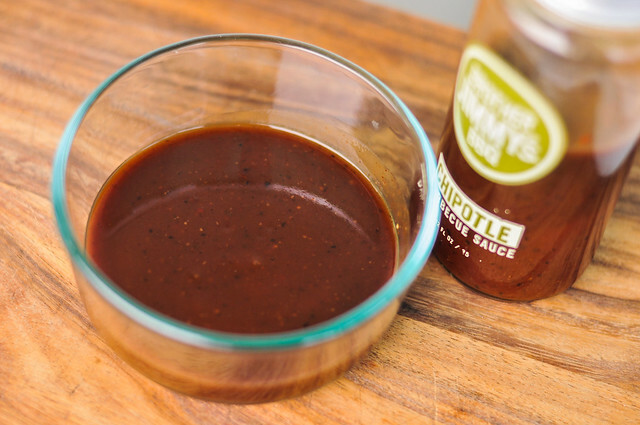 Mixing North Carolina vinegar sauce with a traditional tomato based sauce, Brother Jimmy's Chipotle Barbecue Sauce suffers a bit of an identity crisis and doesn't quite strike the right balance that makes each respective style of sauce work well. I got this sauce straight from the source when NYC-based barbecue franchise Brother Jimmy's hosted me at a blogger event last summer. This mainstay of New York barbecue first opened its doors in 1989 with the mission of bringing Southern barbecue and hospitality to the big city. It's popularity only continued to grow, and one-by-one, new locations were added. Today Brother Jimmy's touts six locations in NYC, along with outposts in San Juan, Miami, and New Brunswick, NJ. 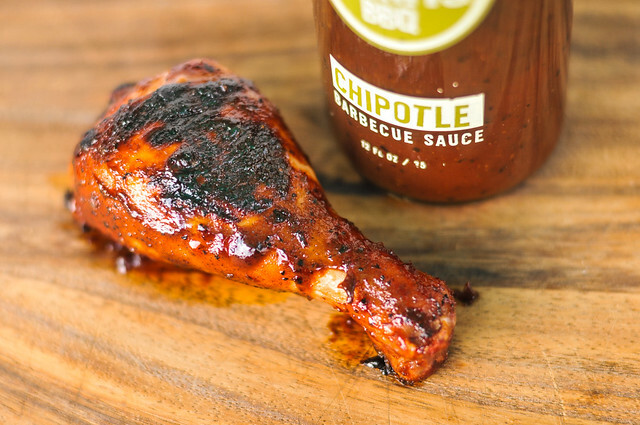 The aroma can be closely equated to a mild hot sauce—heavy on the vinegar with a definite pepper presence known by a slight fruitiness and harshness on the nose. Along with those two dominate traits, there's an undertone of tomatoes that lacks sweetness, smelling more like tomato paste than ketchup. 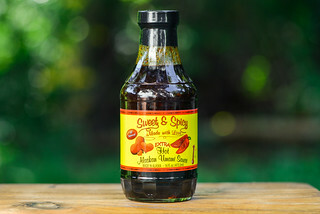 In line with its North Carolina influence, this sauce runs pretty thin, but is certainly thicker than traditional vinegar-only sauce. It has a dark maroon hue, but that doesn't hide the plethora of spice specs that come in black, white, and red in varying sizes. It drizzles swiftly and in a steady stream off the spoon and leaves only a thin, transparent coating left clinging. The first taste is surprisingly sweet. Not surprising in the amount of sweetness though, just that there's enough sugar to make it overtake the more dominate vinegar right out of the gate. The vinegar doesn't even come in second, that role is played by a deep tomato flavor. When the vinegar does hit though, it hits hard and the sauce becomes incredibly tangy, then starts to burn as the vinegar drowns out the tomato and sugar. The spices and pepper come into play at the same time, giving the developing tartness a character that include smoke, heat, and onion. As the sauce leaves the tongue, a mild heat is left in the back of the throat. Being a thin sauce, it took multiple brushings for a good coating to build up on the chicken. The sauce did bake in well, so the final chicken leg was well covered. I was surprised on how fast it burnt over direct heat though, quickly turning the chicken into a scorched piece of meat. The flavor of the sauce mellowed out a lot. The areas that were burnt tasted just like char, but the non-incinerated portions had a much milder tang and slightly more sweetness. The heat that was there out of the jar seemed to disappear completely. 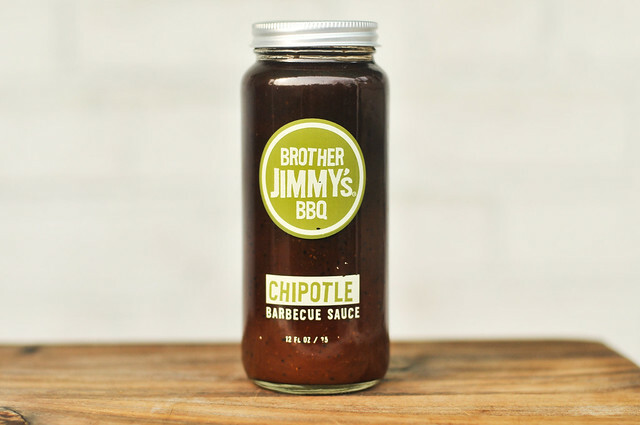 This sauce, not surprisingly, followed in the footsteps of the original Brother Jimmy's. 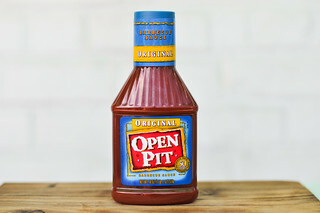 It crossed a line between North Carolina vinegar and a more traditional tomato based sauce, but doesn't quite strike the right balance that makes each respective sauce work well. Being a fan of spicy sauces, I was expecting to like this one better than the original, but the heat didn't stand out, and the fact that it burnt so badly over direct heat, actually knocked the Chipotle version down a peg. 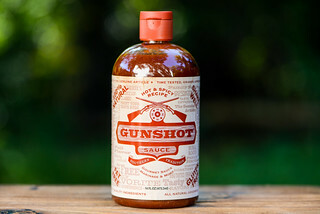 I think if you're at a Brother Jimmy's restaurant, this sauce serve you fine on your pulled pork or add some extra flavor on your ribs, but it's not worth searching out for home use.